Information, updates, and other posts related to my WordPress Plugin Boilerplate that serves to provide a solid foundation for building WordPress plugins. 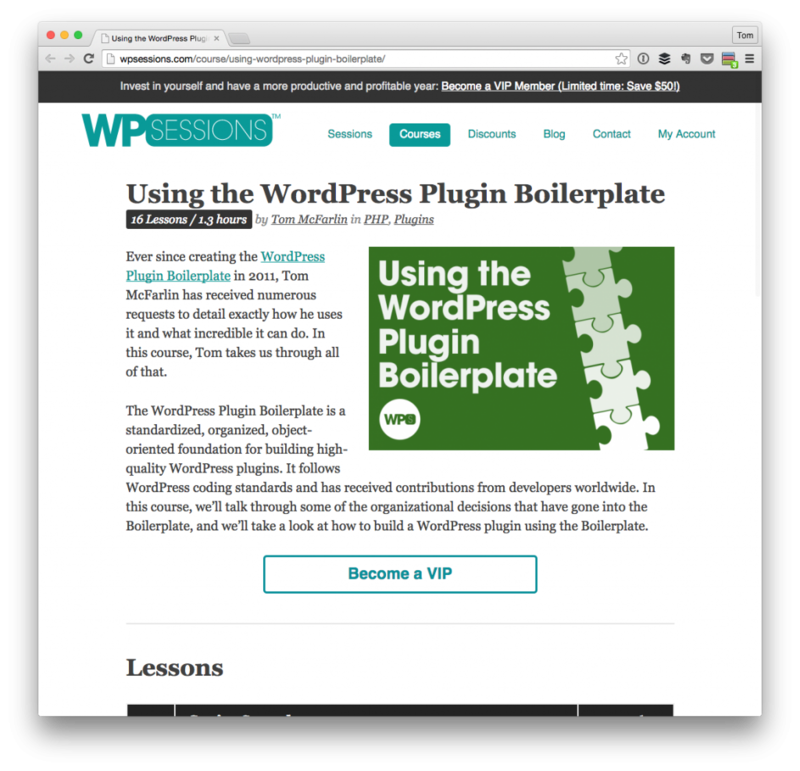 Prior to handing off development and maintenance of the WordPress Plugin Boilerplate to Devin Vinson, I had the opportunity to work with Brian Richards of WP Sessions to put together a short course on how to use the WordPress Plugin Boilerplate. 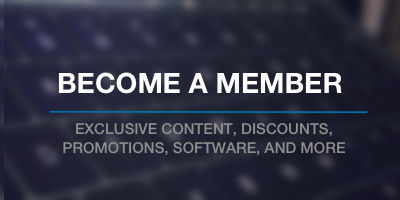 The purpose of the course was to provide the initial set of documentation for the project that would give users and developers a complete walkthrough of the source code, understanding its organization, and a tutorial for how to build a plugin with the project. Over the last few weeks, I’ve talked about some of the changes that I’ve been looking to make over the coming weeks primarily so that I can re-focus my efforts. Specifically, I talked about this in this post and in this post. One of the first changes that I needed to make was that of the WordPress Plugin Boilerplate. 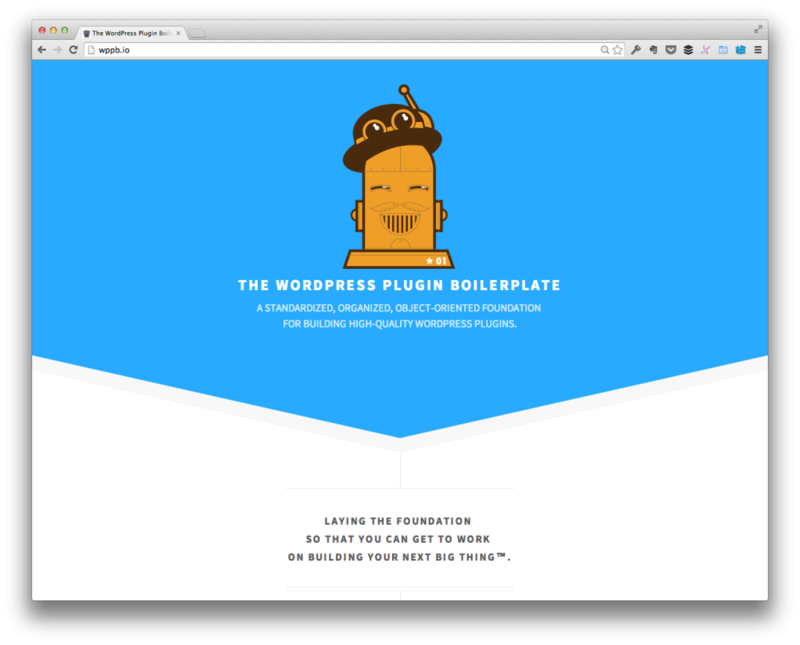 A little over a month ago, I released the latest version of the WordPress Plugin Boilerplate. The response has been great – more than I was expecting, really but that’s a good thing – and, generally speaking, it’s been overall positive. Over the last month or so, it’s become clear that more time and resources will be needed to focus on the Boilerplate and to continue to refine its codebase, its functionality, its documentation, and so on. The bottom line is that I want to make sure that I get the right – or as close to right – as possible during the first try. To that end, I need some input from others (read: you).